"A Strange Meeting" is a short drama directed by D.W. Griffith. 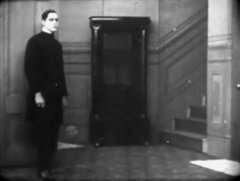 The film is included in our program to illustrate the work of two of our stars: actor Arthur Johnson and cinematographer Billy Bitzer. A woman who takes part in robbing a preacher faces her demons. Will she repent and make amends? 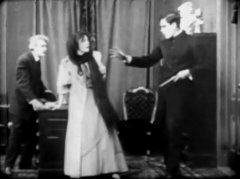 Kate Bruce implores Arthur Johnson to help her son in "A Strange Meeting" (1909), directed by D. W. Griffith, cinematographer Billy Bitzer. 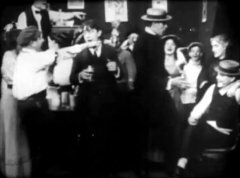 The partying crowd derides Arthur Johnson in "A Strange Meeting" (1909), directed by D. W. Griffith, cinematographer Billy Bitzer. Arthur Johnson confronts two intruders - Henry Walthall and Stephanie Longfellow - in "A Strange Meeting" (1909), directed by D. W. Griffith, cinematographer Billy Bitzer. 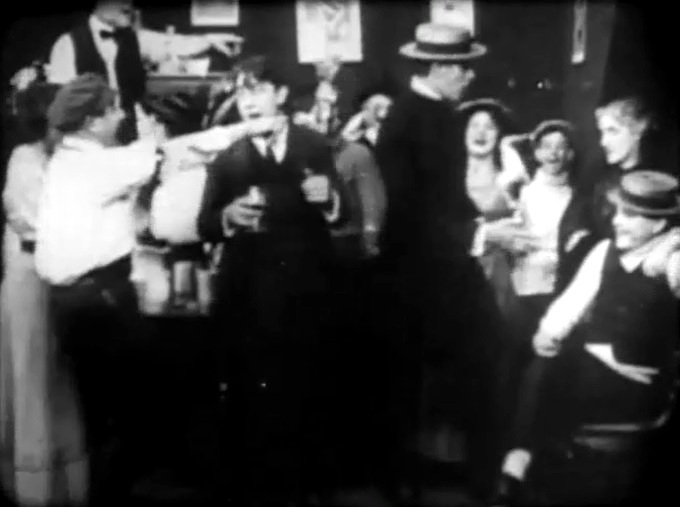 Arthur Johnson lets the intruders go in "A Strange Meeting" (1909), directed by D. W. Griffith, cinematographer Billy Bitzer. 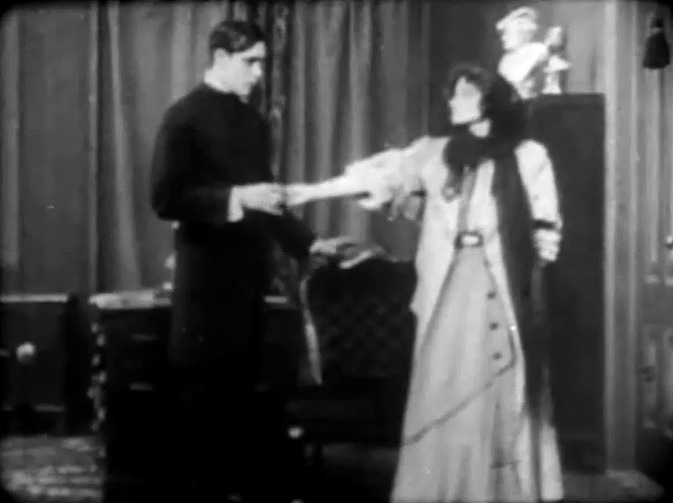 Arthur Johnson gets back the stolen watch from Stephanie Longfellow in "A Strange Meeting" (1909), directed by D. W. Griffith, cinematographer Billy Bitzer. 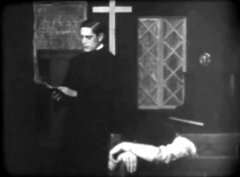 Arthur Johnson doesn't notice his visitor in "A Strange Meeting" (1909), directed by D. W. Griffith, cinematographer Billy Bitzer.